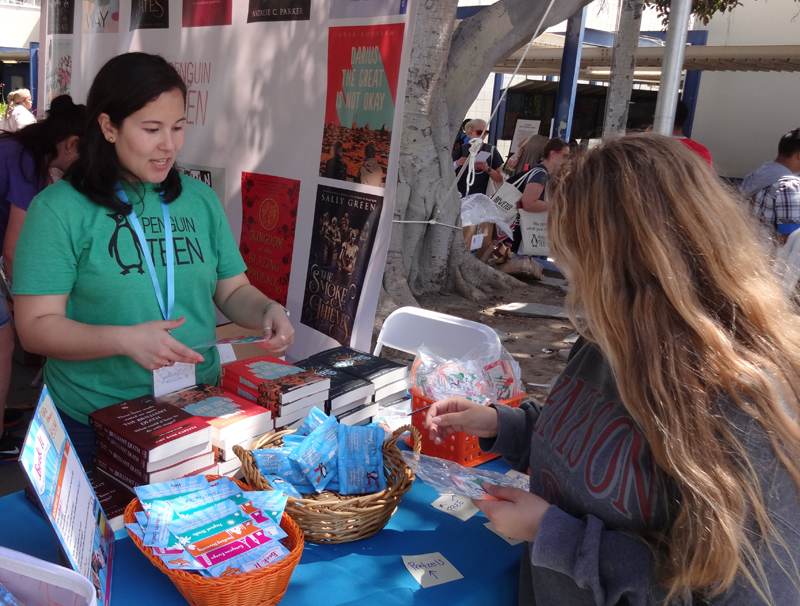 YALLWEST is an annual book festival held in Santa Monica, California, for people of all ages who love young adult and middle grade books. 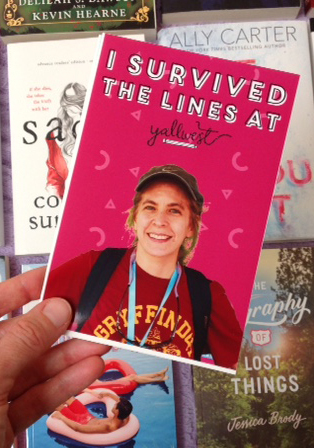 Having enjoyed every YALLWEST since the very first one (in 2015), I couldn't wait to go to YALLWEST 2018! 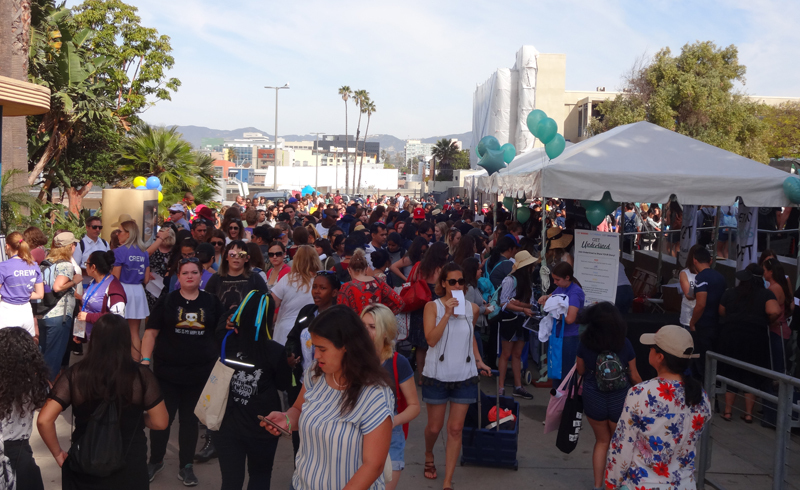 At 9AM on Saturday, May 5th, when YALLWEST 2018 opened its gates, booths were stocked with free ARCs (soon-to-be-published books), along with free book-themed luggage tags, pins, portable chargers, t-shirts, and other goodies. 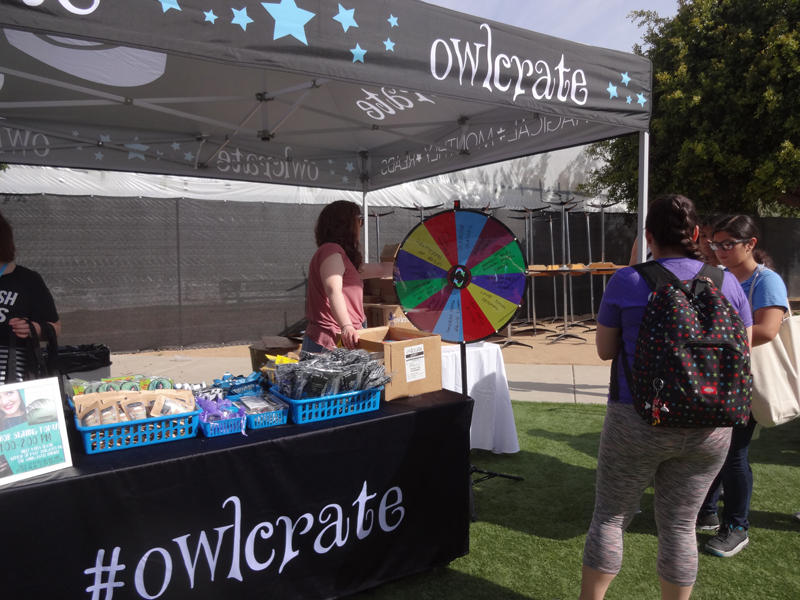 Some booths used a prize wheel to decide which goodie you got. 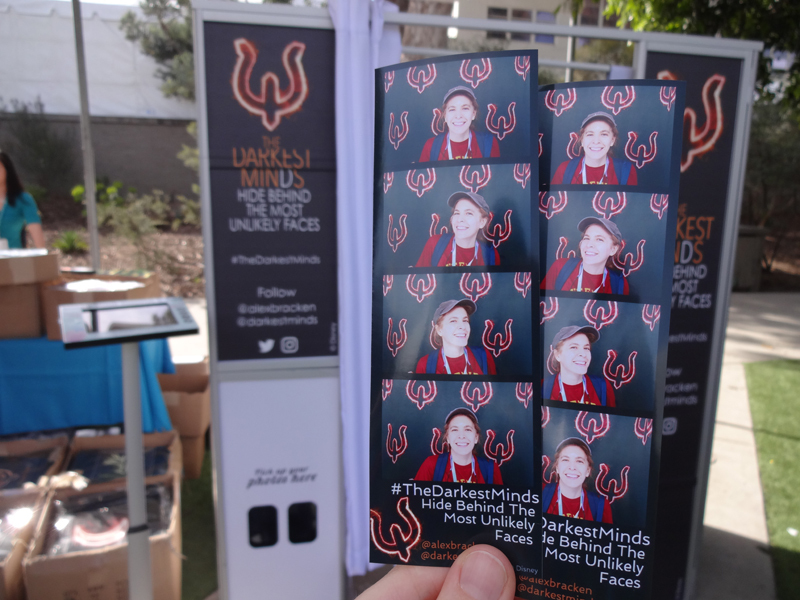 There were fun photo ops, like the Darkest Minds photo booth. 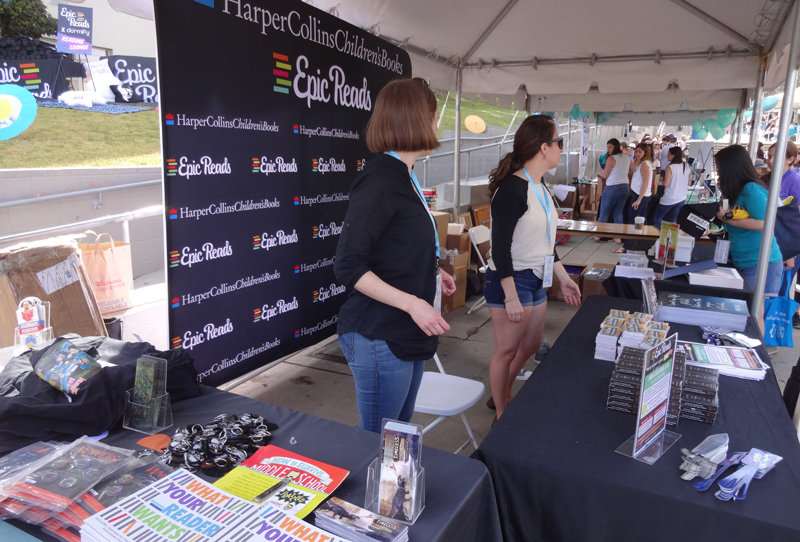 About thirty minutes after the festival opened, the booths were a flurry of activity. The early-bird freebies disappeared very quickly, however those who arrived later weren't out of luck. Many booths had "ARC drops" and/or giveaways scheduled throughout the day. 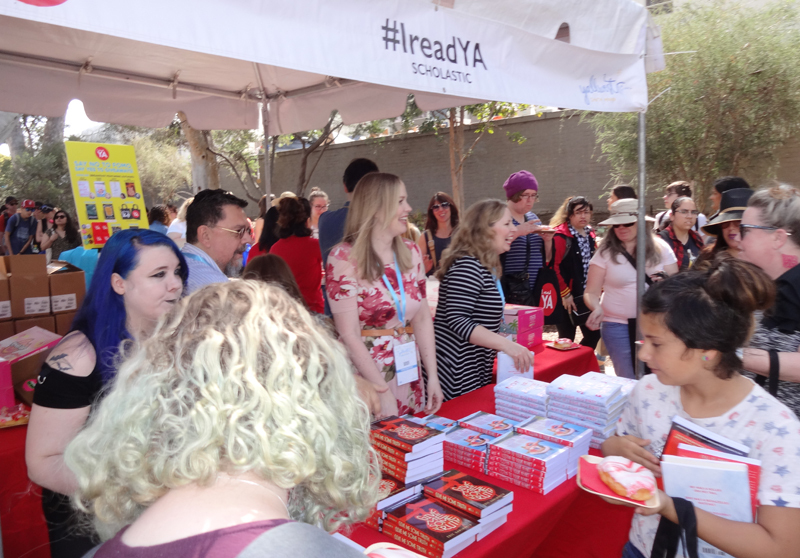 At 10 AM, the Scholastic booth offered a free (very yummy) gourmet donut, along with four ARCs! Even sweeter, each book was handed out by the book's author! How cool! Next, I checked out a panel of television writers and producers (Alison Tatlock, Sarah Fain, Liz Craft, Rich Hatem, Britta Lundin, and Geoffrey Thorne) who discussed fictional and real-life teen heroes. 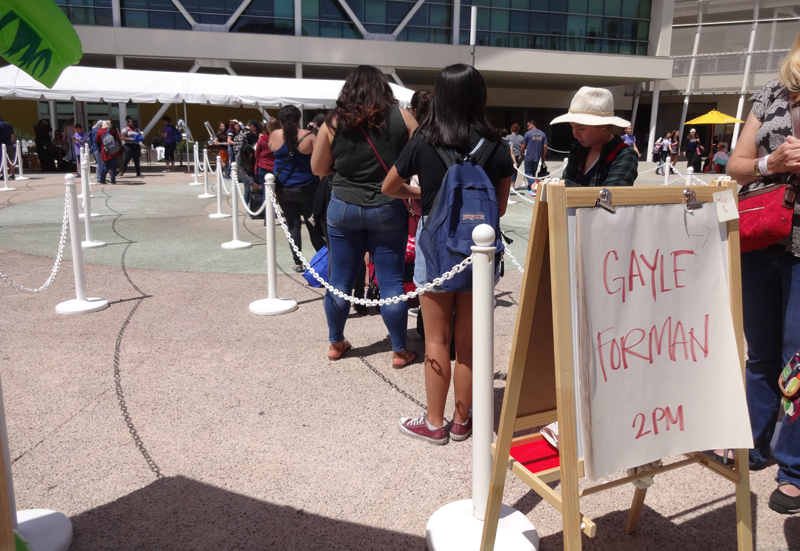 After a quick trip to my car to drop off my morning haul and pick up the books I wanted to get signed, I joined the 1PM signing line for E. Lockhart and then the 2PM signing line for Gayle Forman. It was nice to have a personal moment with the authors, and to walk away with my newly-signed books as a memento. 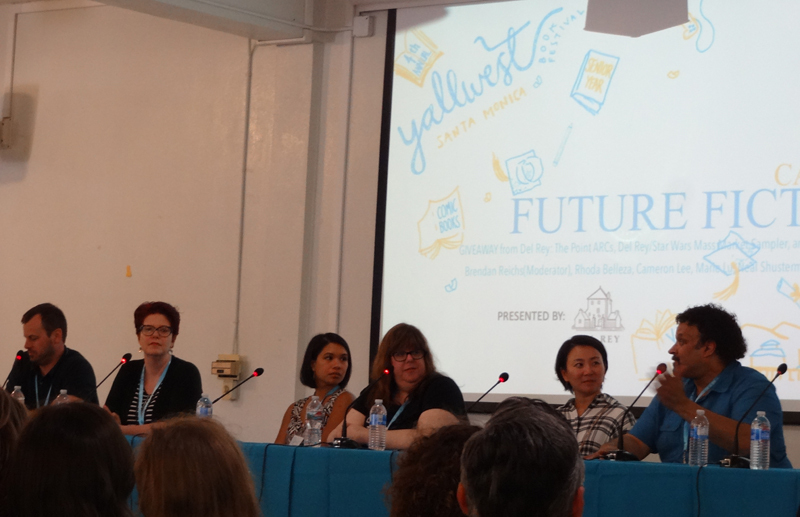 Then I was off to slip into a panel where authors Brandon Reichs, Rhoda Belleza, Christine Thompson, Marie Lu, and Neal Shusterman discussed writing about the future. After the panel, I stopped by Penguin Teen's unique ARC drop. Festivalgoers were invited to select one of three dream vacations. They were given an ARC based on their answer, along with a luggage tag and a small bag of pretzels "to take on the trip." 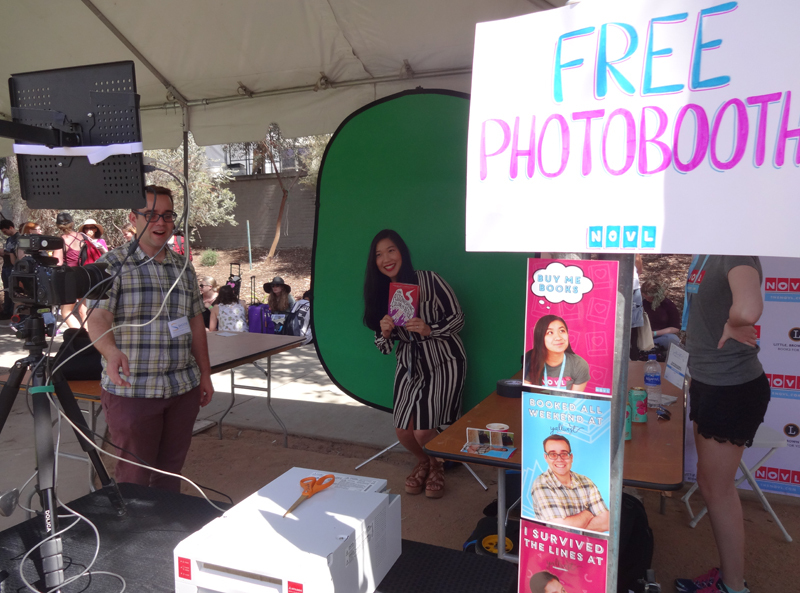 NOVL opened up a green-screen photo booth offering a great YALLWEST memento. The afternoon keynote was a conversation between Veronica Roth and Sabaa Tahir chatting about what influences their writing. 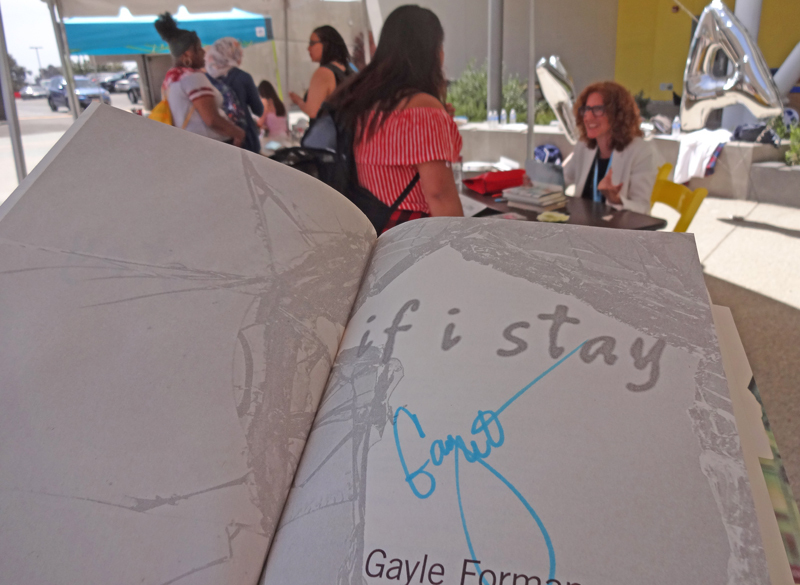 YALLWEST 2018 was held on May 5th at Santa Monica High School in Santa Monica, California, USA. 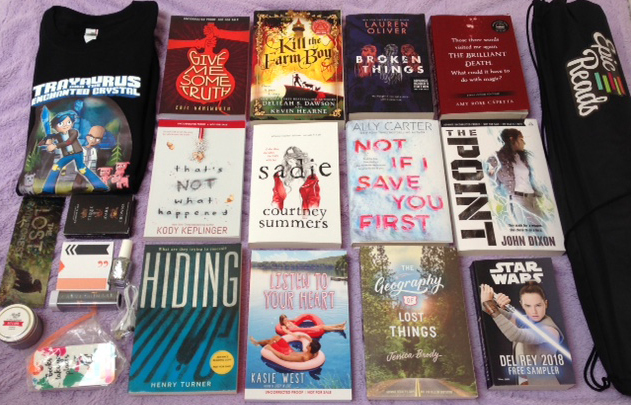 Heading to Los Angeles for YALLWEST? Check out Jen's Los Angeles Bucket List for great ideas of things to do while you're in L.A.! 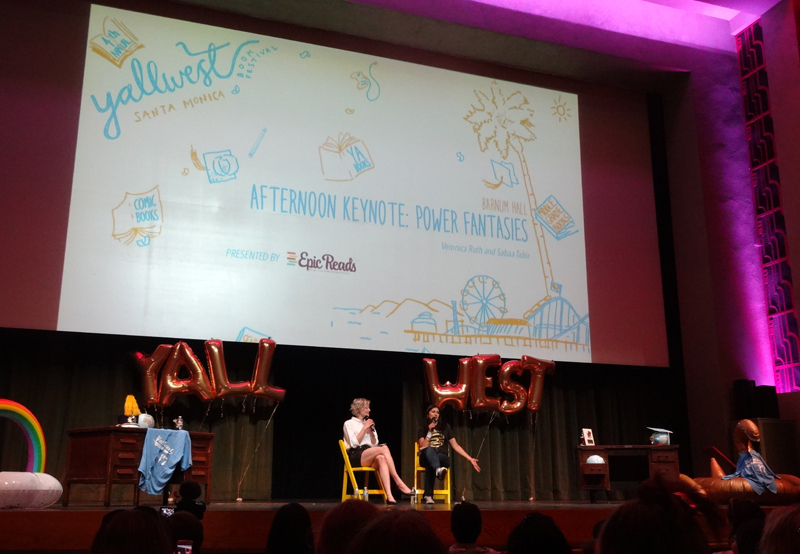 Find Jen's photos of YALLWEST 2017 here! 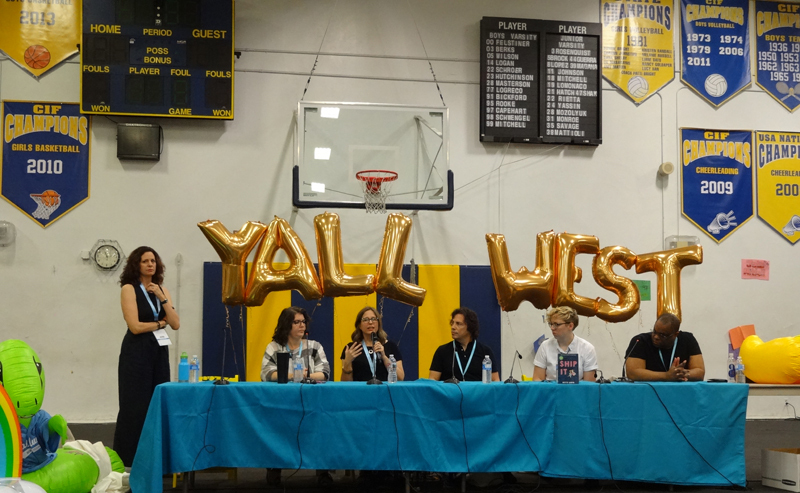 Find Jen's photos of YALLWEST 2016 here!